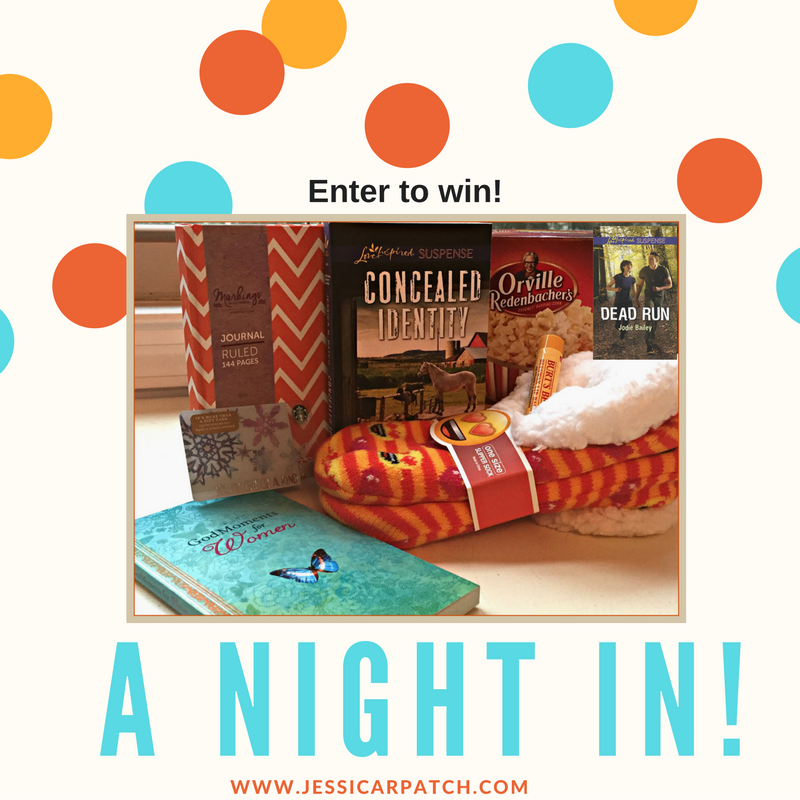 Win 1 of 2 Prize Packages! Using Rafflecopter, we’ll draw two winners on Tuesday, January 31st and announce them on Wednesday, February 1st! Wake up to THE good book with a journal for notes, a cup of pumpkin spice coffee in a sweet Fort Brag mug, and a two good books! And hey, don’t forget sweet treats, more coffee (or tea) from Starbucks ($10)! On a cold night, stop by Starbucks ($10) for your favorite hot drink (or sweet treat), come home and curl up in some warm fuzzy socks (emoji heart eyes because, hellooo, you’re reading romance! 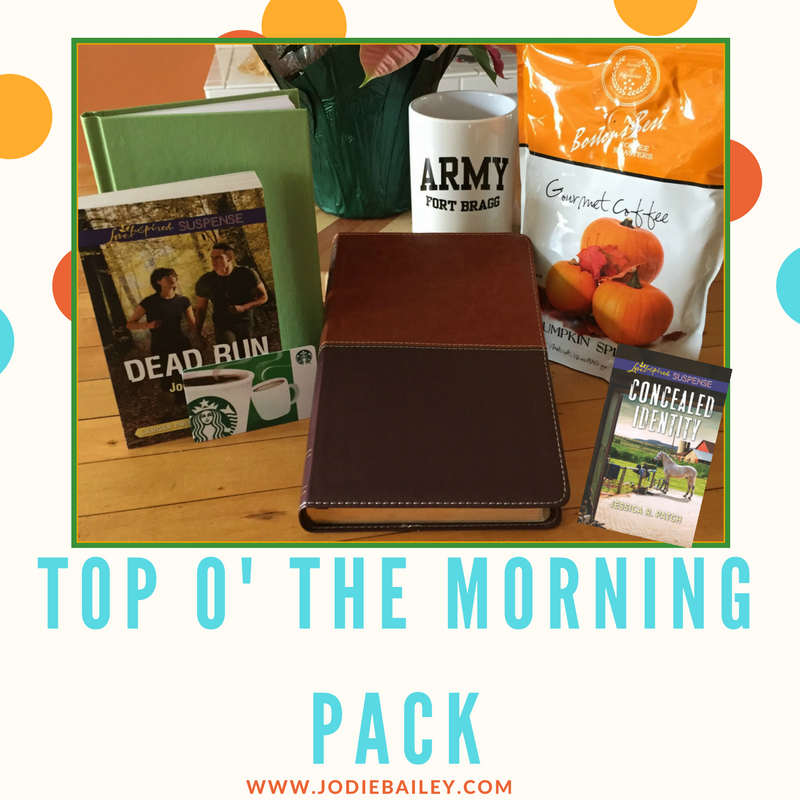 ), pop some popcorn, and enjoy signed copies of Dead Run and Concealed Identity… and don’t forget before bed, a little moment with God, some Burts Bees to soften those lips (xoxoxo) and a journal to keep notes! Ya’ll just don’t know how cool it is to have a book releasing with Jodie! We met during a pre-published excerpt competition and have been fast friends since. Tell me, have you made a life long friend through a chance encounter? Share the deets in the comments! 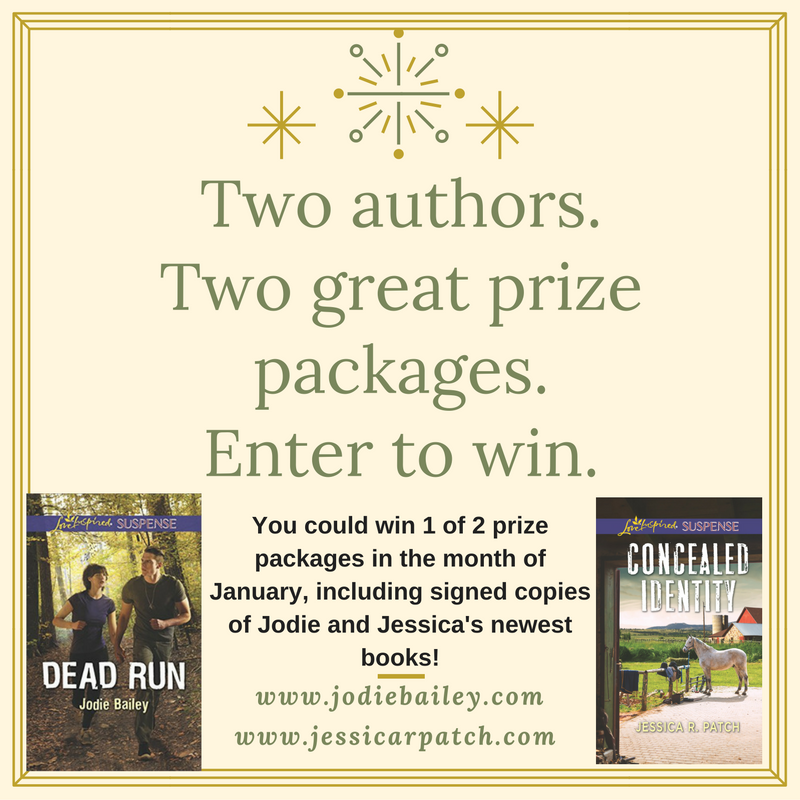 Posted in UncategorizedTagged concealed identity, Dead Run, fiction, giveaway, jessica r patch, Jodie Bailey, Love Inspired Suspense, military, romance, small town, suspense21 Comments on Win 1 of 2 Prize Packages!